This fall, as young athletes return to the football, soccer and lacrosse fields with their school and recreational teams, parents' worries about concussions are also returning. 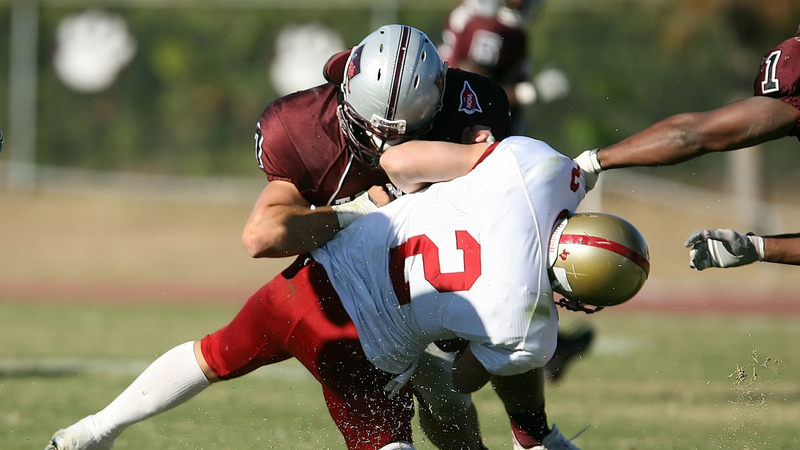 While we're more aware now than ever before of the potential for brain injury in sports, the science is still developing, and criteria used to identify concussions are largely subjective. But that could be changing soon, thanks to intriguing new research out of Northwestern University, where a team of auditory neuroscientists has found a way to measure how brains process sound that reveals past trauma. Research conducted at Northwestern’s Brainvolts Lab has revealed that studying how the brain processes sound can give us an objective way to diagnose concussions. Using sensors attached to the scalp, Dr. Nina Kraus and her team of auditory neuroscientists measured the “frequency following response” – the electrical response in the brain created by listening to speech or music. Using the results, the scientists were able to identify subjects who had sustained a concussion with more than 90 percent accuracy. Dr. Kraus joins us tonight to talk about these findings and how this measurement can change the way concussions are not only diagnosed but also treated. More information about the team’s research can be found on the laboratory’s website. More on this story: The Chicago Council on Science and Technology is hosting “Head Banging: How Music and Concussions Impact Brain Health,” on Tuesday at the South Shore Cultural club. For more information, visit C2ST’s website.